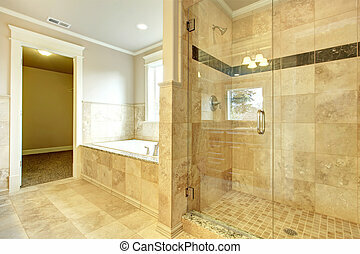 Master bath with glass shower. 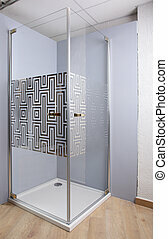 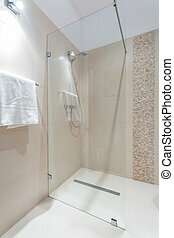 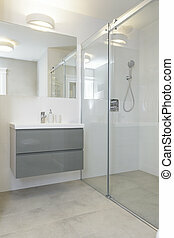 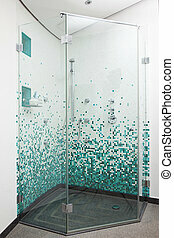 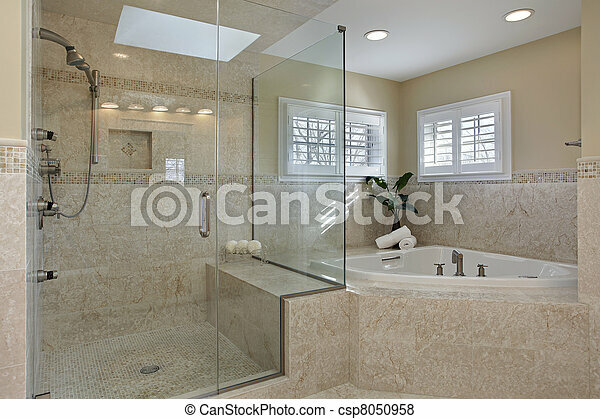 Modern master bath with large glass shower. 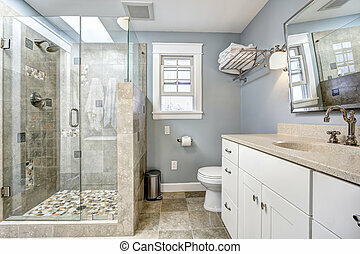 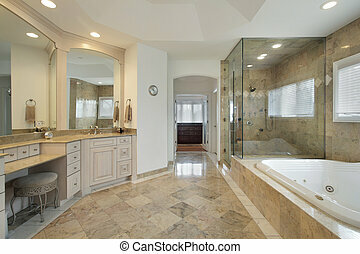 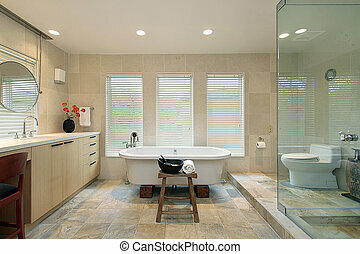 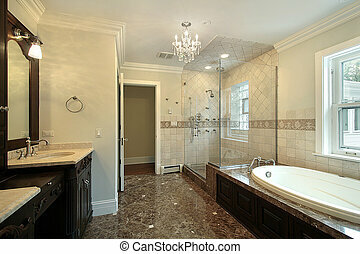 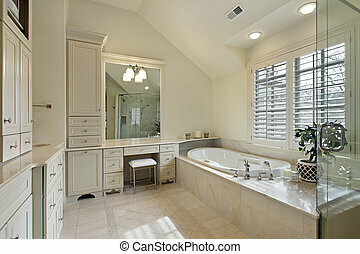 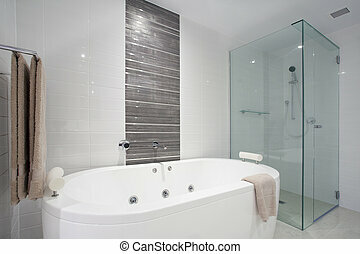 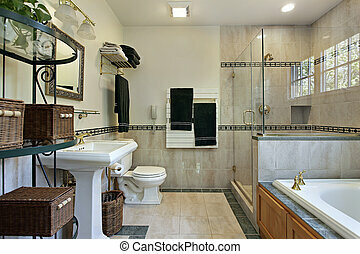 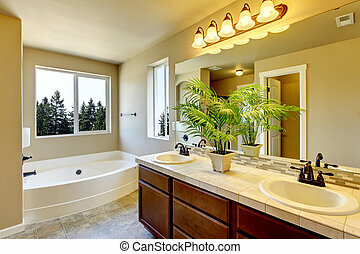 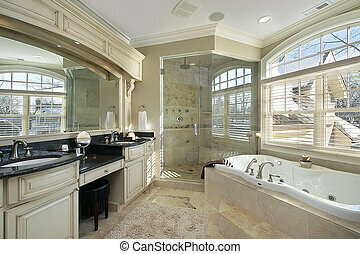 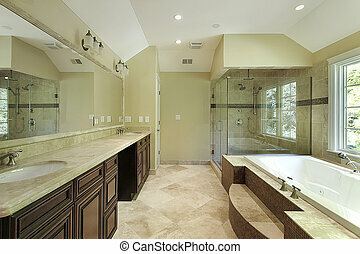 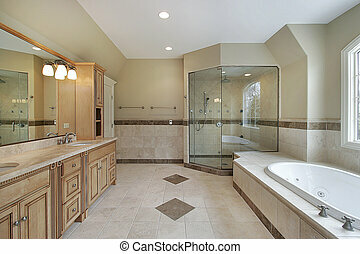 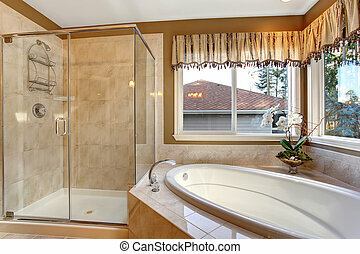 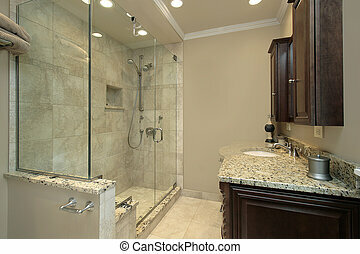 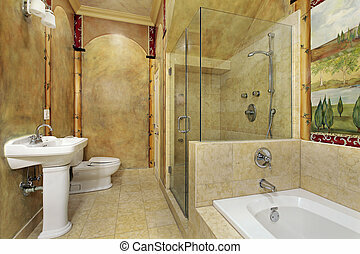 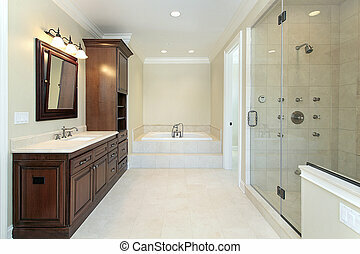 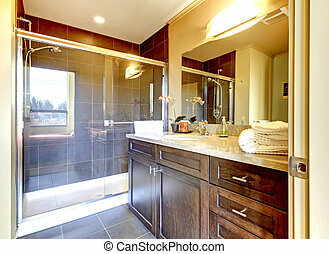 Large elegant master bathroom with shower, and big bath tub. 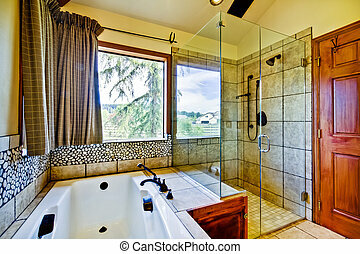 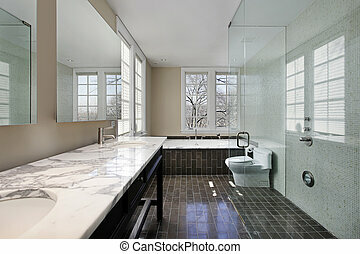 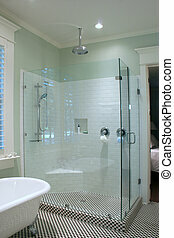 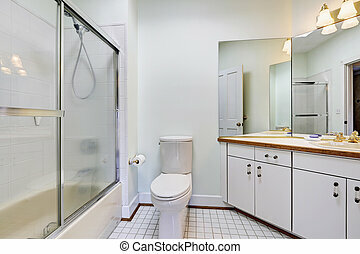 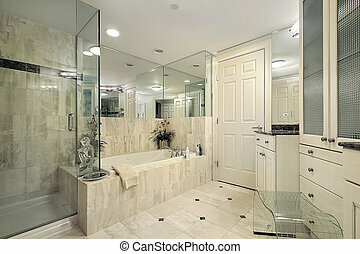 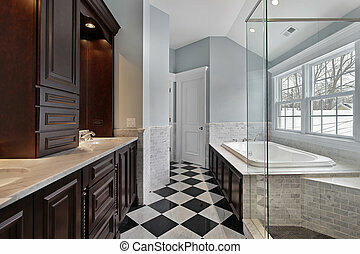 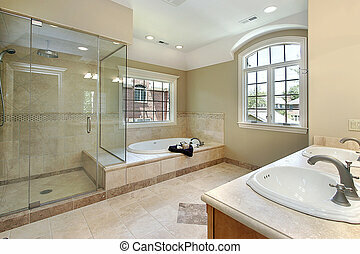 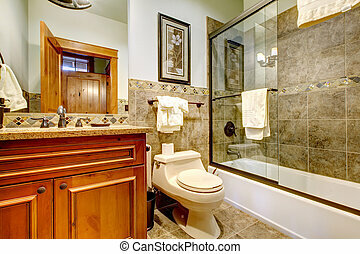 nice bathroom with tile floor and a glass shower door. 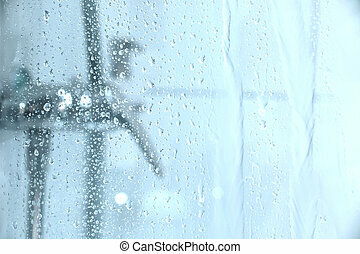 Water dropping down the glass of a shower.